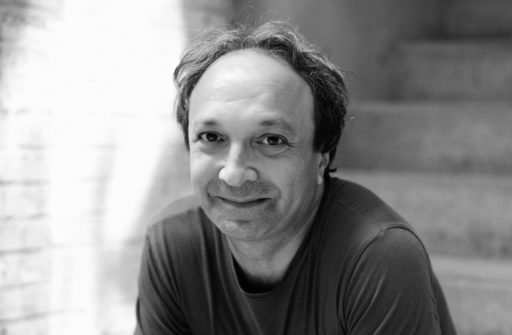 Emile Bravo was born in Paris in 1964, and around the same time started scribbling on anything he could find. 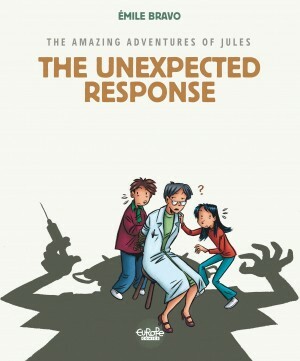 When he realized that drawing is a rather marvelous tool for storytelling, he started in on illustrated stories. Much later, when he discovered that this is actually a job (otherwise known as a "comics artist"), he took his chance and stepped into this unknown and hostile territory. Luckily, he was accompanied by his old accomplice Jean Regnaud, with whom he made his debut with Aleksis Strogonov, with Dargaud. 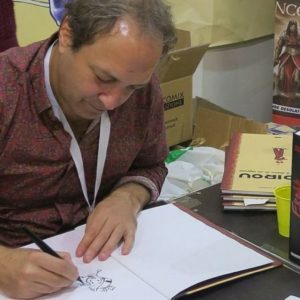 He started making friends with other artists (Sfar, Christophe Blain, Emmanuel Guibert) who encouraged him in his comic book quest, and with whom he eventually founded the Atelier des Vosges. 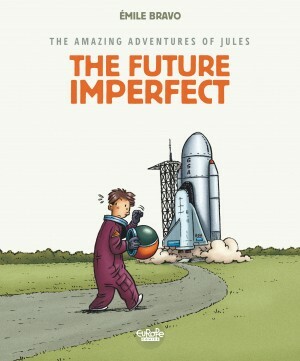 He then produced Les épatantes aventures de Jules (Dargaud 1999, Europe Comics 2016, The Amazing Adventures of Jules), which won him public acclaim. 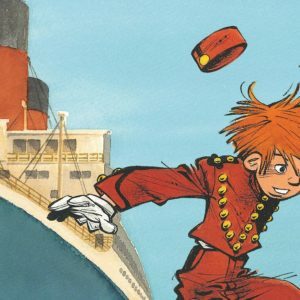 A few more comics down the line, Emile Bravo agreed to take on Dupuis' flagship series, Spirou and Fantasio, giving it his own personal twist. 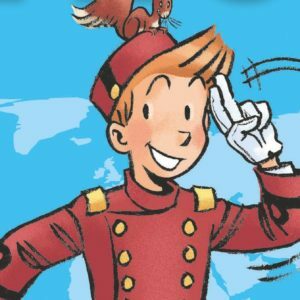 He addressed all the questions he himself had about the famous bellboy: How did a young hotel porter become the adventurer that we know and love today? Has he ever been in love? What are his beliefs? 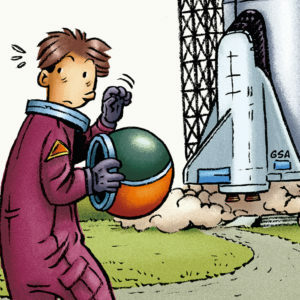 How did his everlasting friendship with Fantasio come about? 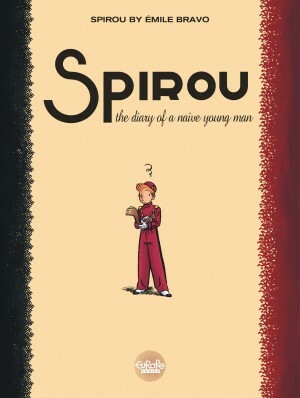 The answers came in 2008 with the landmark Le Journal d'un ingénu, (The Diary of a Naive Young Man, Europe Comics), and he is currently back at it with a multi-part sequel, Spirou, ou l'espoir malgré tout.